Stokes Rewards – Exciting changes are happening! Rewards customers! We are bringing exciting changes to our rewards program. More Big Deals! Watch your email for exciting deals. Enter to win prizes and surprise gifts! How our points program will work! Working in an office is amazing! 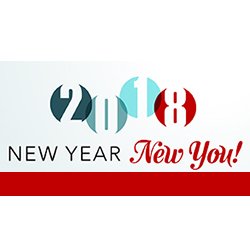 You have co-workers, your own work station and so much more but sometimes it is hard to keep your resolutions and eat healthy because the options aren’t available. Don’t worry though because we have the solution to help make your resolutions a reality. Below is a list of items you can get at our stores to keep your office snacking healthy! Come in today to help make your resolutions a reality! 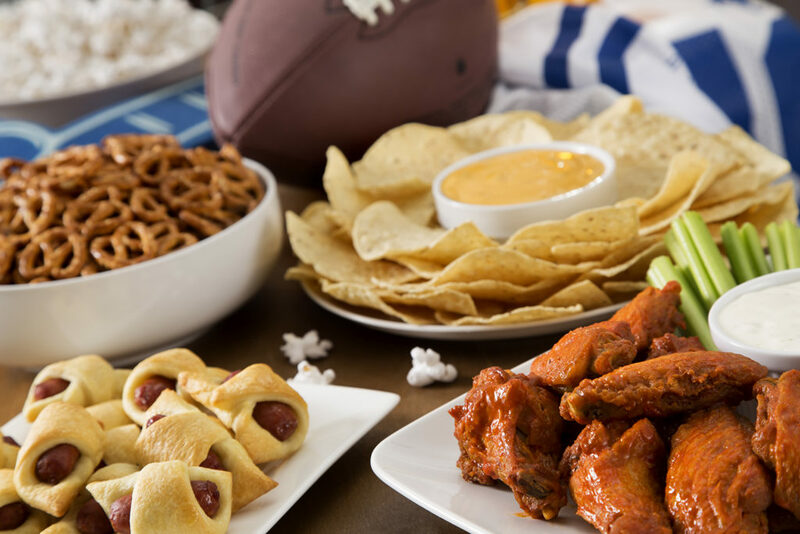 Watch the big game and play! Any time one of these things shows up in a commercial or you react in a specific way, eat up. Parents know that getting kids to eat healthy is a battle but the dinner table should not be a place of stress. 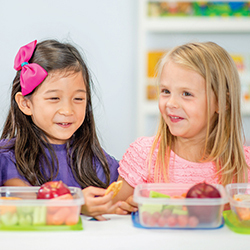 We are here with ten tips to try out in your quest for healthy eating with kids. Be the leader: It is a known fact that children are observant. They want to be like mom and dad. That crosses over into eating. If you want your kids to eat healthy then be the example for them. Choose the carrot stick over the french fry and your kids will more than likely follow. Repeat, Repeat, Repeat: Make healthy options consistent in your home. Include them with every meal and have them easily accessible for any quick snack. Don’t make vegetables negative: Be careful with how you talk about healthy options. Make them something they want to eat instead of need to eat. Vegetables and fruit should not be a box you need to check. Use positive, fun words when talking about it. Involve kids in making food: Kids like to get their hands in on the action. Let them help you with meal prepping. It is a great time to educate your kids on how to cook and why we eat the variety of foods we eat. Start their day healthy: Get rid of the sugared cereal for breakfast. 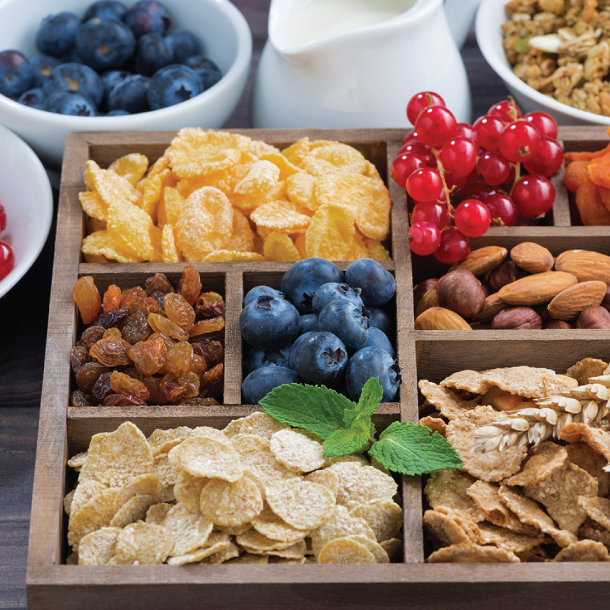 When you start your day with a healthy breakfast option you are more likely to eat healthy the rest of the day. Same goes for kids :). Make it fun: Get creative with your fruits and vegetables by making an activity out of it. Use cookie cutters to make them into fun shapes. Create pictures out of various foods. Come up with creative names for each food. A kid may be more excited to eat a magic wand carrot than a plain carrot stick. Have patience: Your children may not love fruit and vegetables at first but give them time. Children’s taste buds are still forming as they grow so they are very likely to change the things they like. Just keep promoting healthy options and they may end up being their favorites. Let them grow: If you can, plant a small backyard garden and have your children help nurture the plants and watch them grow. Kids will be fascinated with the process and will excite them to try out their creations. Prep healthy snacks: Take time to make healthy snack bags. Place them on the lowest shelf of your fridge or pantry so they are easy to grab for little hands. Hide and seek: You always want to make sure your children are seeing the healthy options they eat but occasionally use recipes that allow you to hide vegetables in your meals. 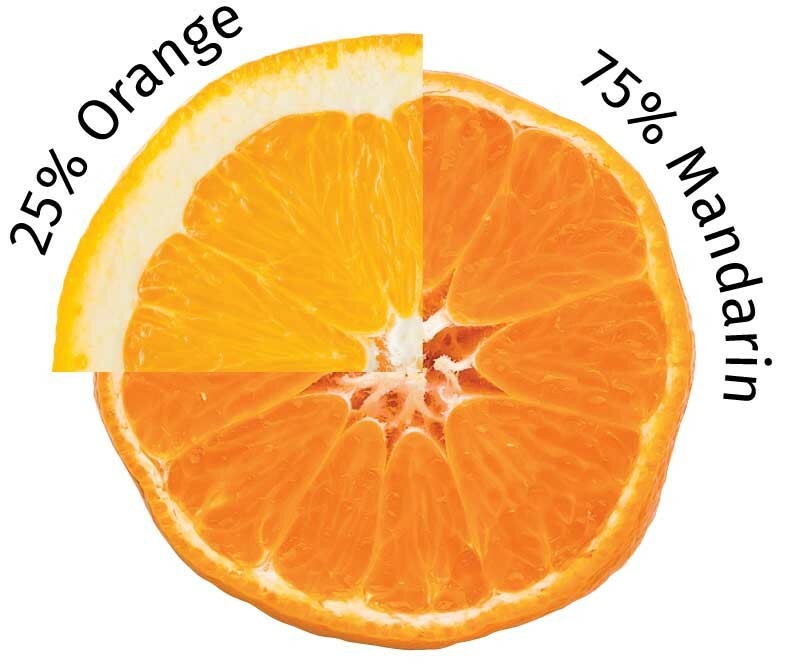 With their unique shape and juicy, sweet taste, Sumo Citrus® are a big deal. 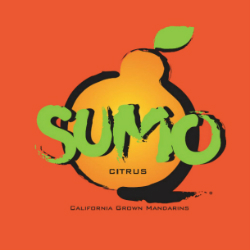 With its large, bumpy size and a distinct top knot, Sumo Citrus® are relatively new to United States markets. Incredibly sweet and easy to peel, Sumo Citrus® are only in season for a limited time – though they’ll stick in your mind for months to come. Developed around the 1970s in Japan, the Shiranui varietal became known by its branded name, Dekopon, and is prized overseas – often given as a gift. The navel orange flavor comes through in a bright, refreshing way. Incredibly sweet, there’s a welcome acidity on the tail end – it’s a taste unlike any other citrus. Seth attributes the exceptional taste to the varietal but also the way it’s picked. Enter to win $500 grand prize! 2018 is officially in full swing. Start the new year with a chance to win $500 in store branded gift cards! To enter purchase $50 or more in select gift cards from January 22, 2018 through February 3, 2018 on your rewards account. Valid gift cards include Gap, Old Navy, Banana Republic, Macy’s, Kohl’s, Nike and The Children’s Place. One $500 grand prize winner and five 2nd place $25 winners will be chosen at random. For more details click here. A quick and delicious dinner for every night of the week. Preheat oven to 375 F. Place shredded chicken, salsa, oregano, cumin and cream cheese in large skillet. Mix together over medium heat until cream cheese is melted. Brush one side of tortilla with butter. Place tortilla butter side down on baking sheet and spread 1/3 cup of chicken mixture on half of tortilla. Cover chicken mixture with cheese. Fold over and bake for 10 minutes until lightly brown. 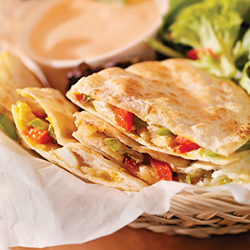 Serve with sour cream, guacamole or your favorite toppings. 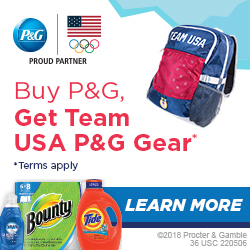 Get a Team USA P&G Backpack and more! Ready to cheer on Team USA for the upcoming 2018 Winter Olympics? Show your team spirit by getting a Team USA backpack when you spend $30 or more on P&G products in a single transaction today through March 31, 2018. For more detailed information click here. To boost your team spirit we also have awesome savings on P&G products throughout our store. 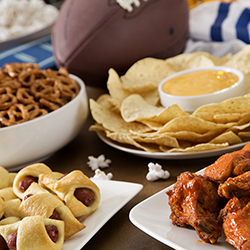 Right now we are running our Mix & Match Buy 6 Save $6 event on P&G products. Stock up on all your household essentials and save money doing it. Click here to check out the P&G savings. To top off this Olympic sized saving event we also have additional savings on P&G with digital coupons. All rewards members can SAVE EVEN MORE when they download digital coupons to their rewards accounts. Click here, log in to your rewards account and start saving even more today! Qualifying Brands for Team USA P&G backpack entry: Align®, Always®, Aussie®, Bounce®, Bounty®, Cascade®, Charmin®, Cheer®, Clearblue®, Comet®, Crest®, Dawn®, Downy®, Downy Unstopables®, Febreze®, Fixodent®, Gain®, Gillette® (Razors, Disposables, Gels), Gillette Venus® (Razors, Disposables), Glide®, Head & Shoulders®, Herbal Essences®, Ivory®, Luvs®, Metamucil®, Mr. Clean®, Olay®, Old Spice®, Oral B®, Pampers®, Pantene®, Pepto Bismol®, Prilosec OTC®, Puffs®, Scope®, Secret®, Swiffer®, Tampax®, Tide®, Tide Pods® and Vicks®. Get a Team USA P&G Backpack & more! To boost your team spirit we also have some awesome savings on P&G products throughout our store. Right now we are running our Mix & Match Buy 6 Save $6 event on P&G products. Stock up on all your household essentials and save money doing it. To top off this Olympic sized saving event we also have additional savings on P&G with digital coupons. All rewards members can SAVE EVEN MORE when they download digital coupons to their rewards accounts. 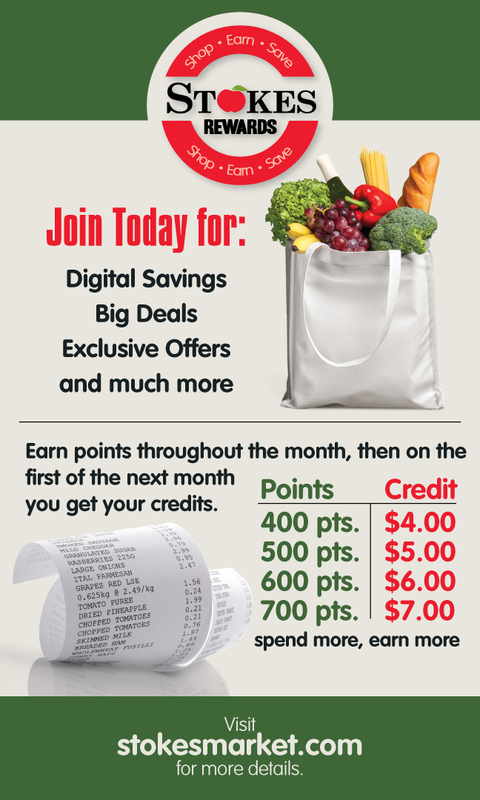 Log in to your rewards account and start saving even more today!